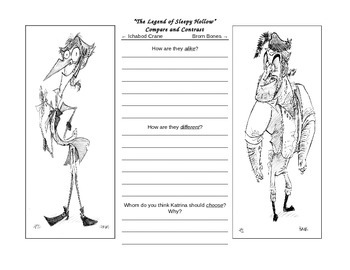 In this whimsical character analysis worksheet, students consider their knowledge of Ichabod Crane and Brom Bones to explain how they are similar and different. 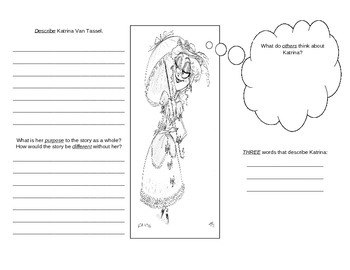 The back of this character analysis worksheet considers Katrina van Tassel and her role in the story. Students must describe Katrina on multiple levels.